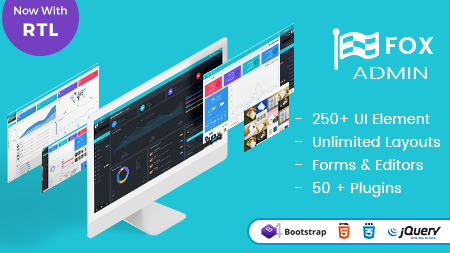 CrmX Hospital Admin – Responsive Bootstrap 4 Admin – Impressive Dashboard is an eye-catching design for customers to stay a long time on your website. Dashboard Control Panel comes with Total Average, Best Selling Products, Top Sellers, Product Details, Earnings, Sales. 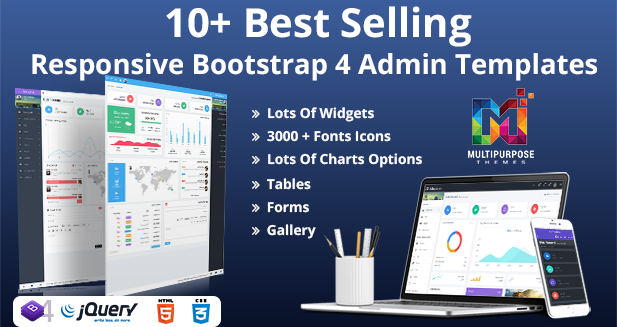 CrmX Hospital – Bootstrap Admin Templates comes with Chart. You will see Radar Chart, Doughnut Chart, Bar Chart, Line Chart, Pie Chart, Polar area Chart, Bubble Chart, Bar Chart. 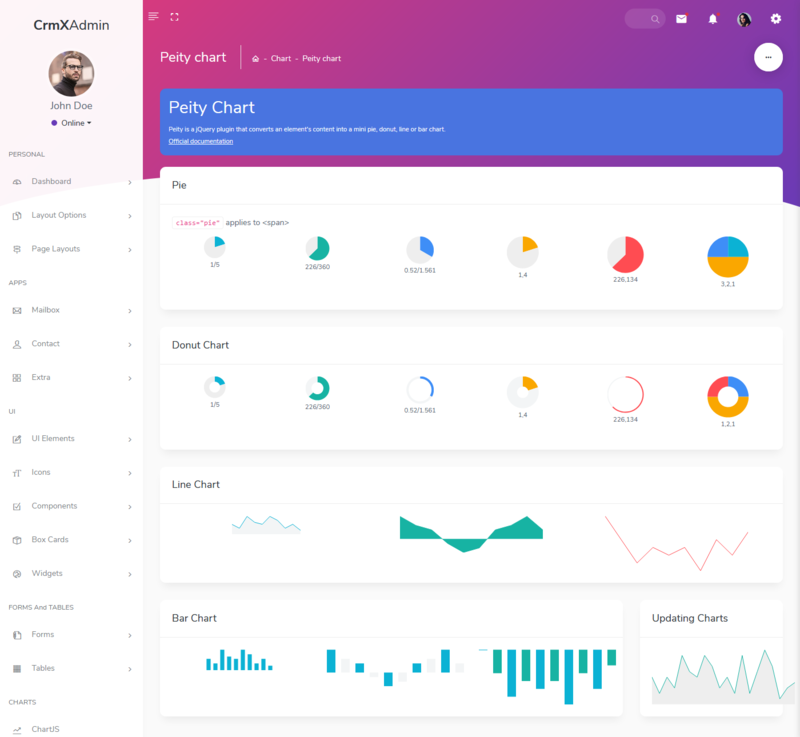 CrmX Hospital – Admin Templates comes with Flot Charts. 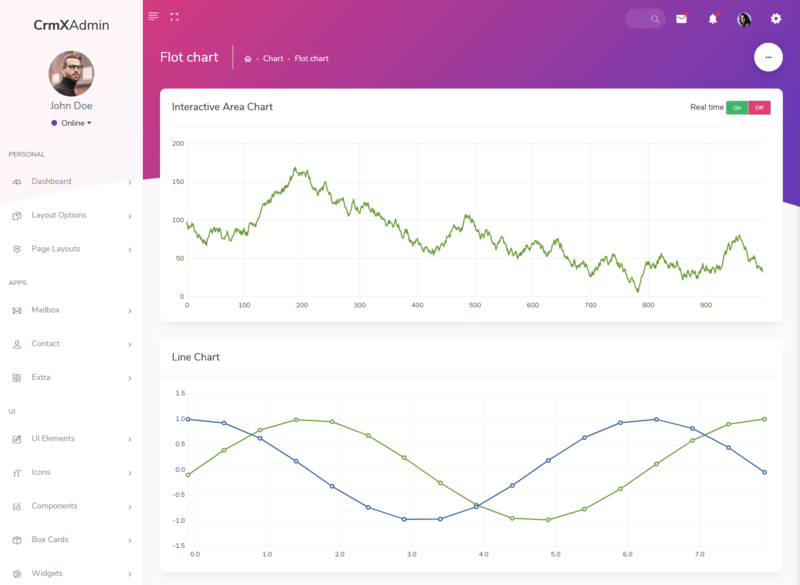 You will see the Interactive Area Chart, Line Chart, Full Width Area Chart, Bar Chart, Donut Chart. 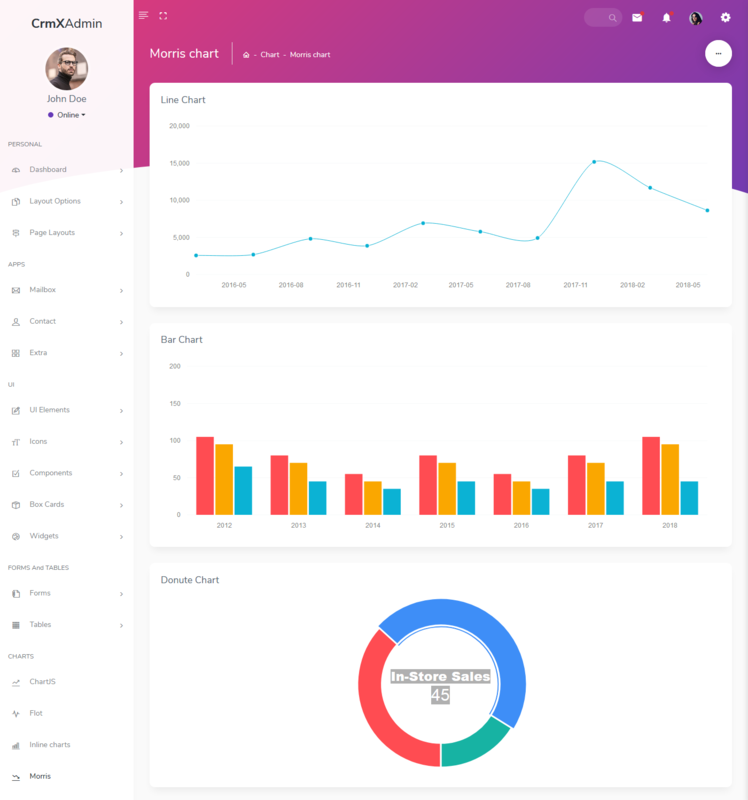 CrmX Hospital – Admin Templates comes with Inline Charts. 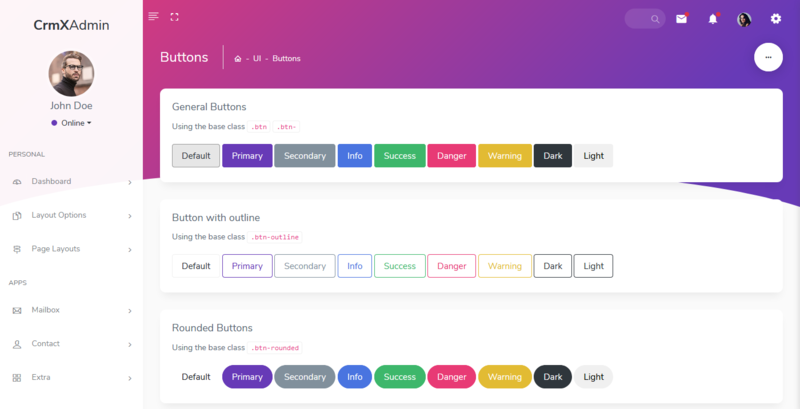 You will see Sparkline Pie, Sparkline line, Sparkline Bar, Sparkline examples, jQuery Knob Tron Style, jQuery Knob Different Sizes, jQuery Knob. 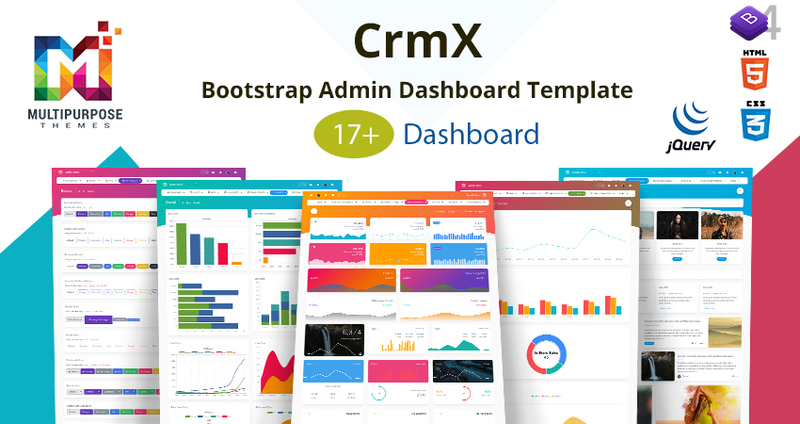 CrmX Hospital – Bootstrap Admin Templates comes with Morris Charts. You will see Download Count, Analytics, Revenue Statistics, Sales Report. 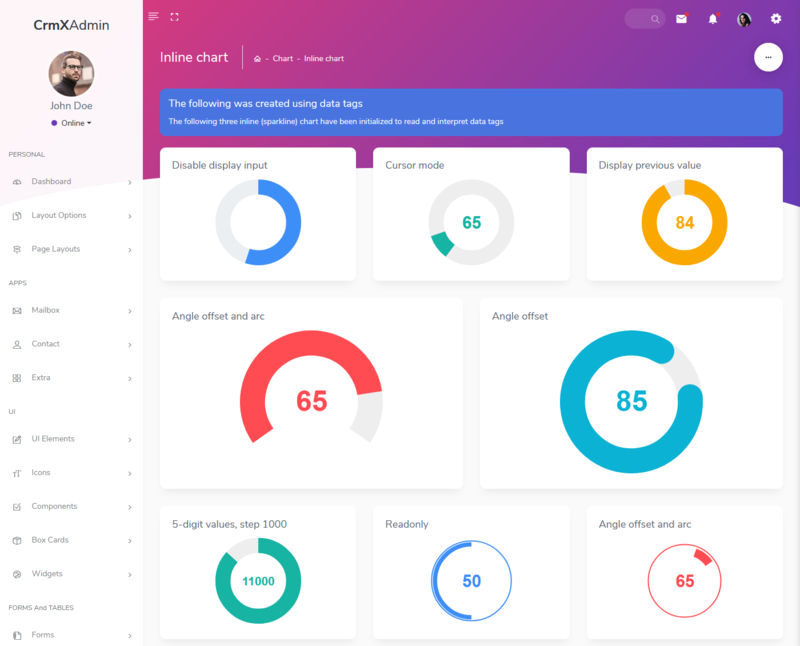 CrmX Hospital – Admin Templates comes with Peity chart. 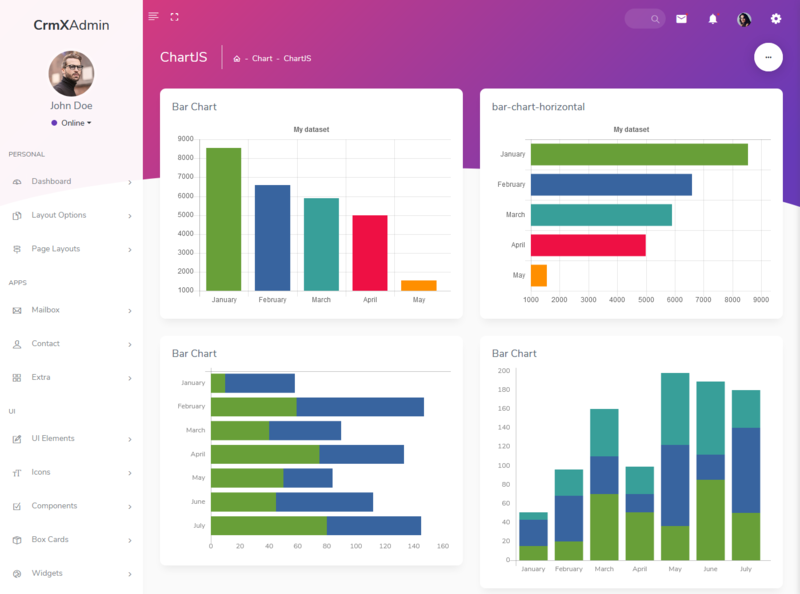 You will see Line Chart, Bar Chart, Pie, Donut Chart, Updating Charts. CrmX Hospital Dashboard Admin Template comes with the Product Edit section. CrmX Hospital Premium Admin Template comes with the Product Details section. 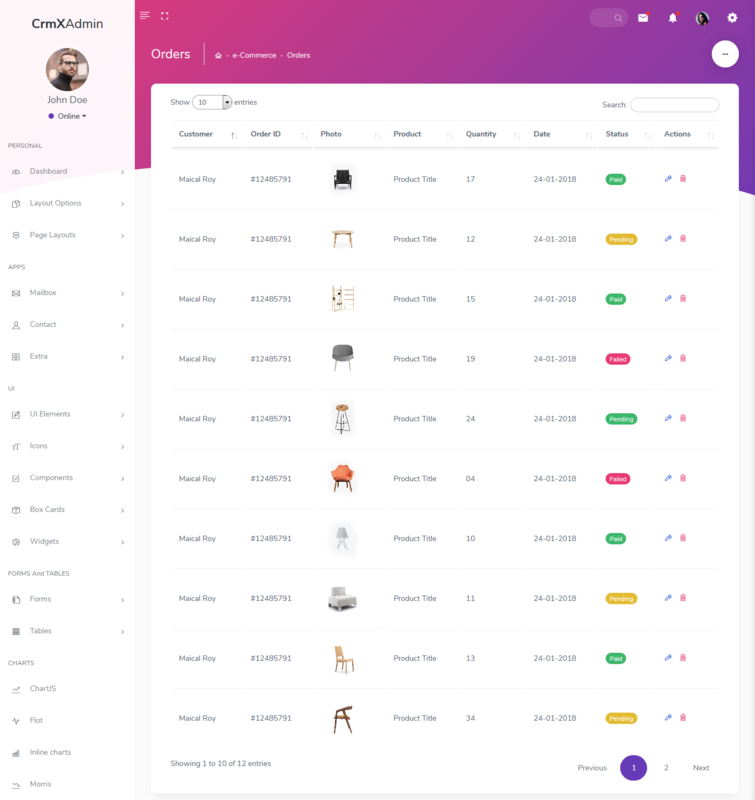 CrmX Hospital Admin Dashboard Template comes with the Product orders section. 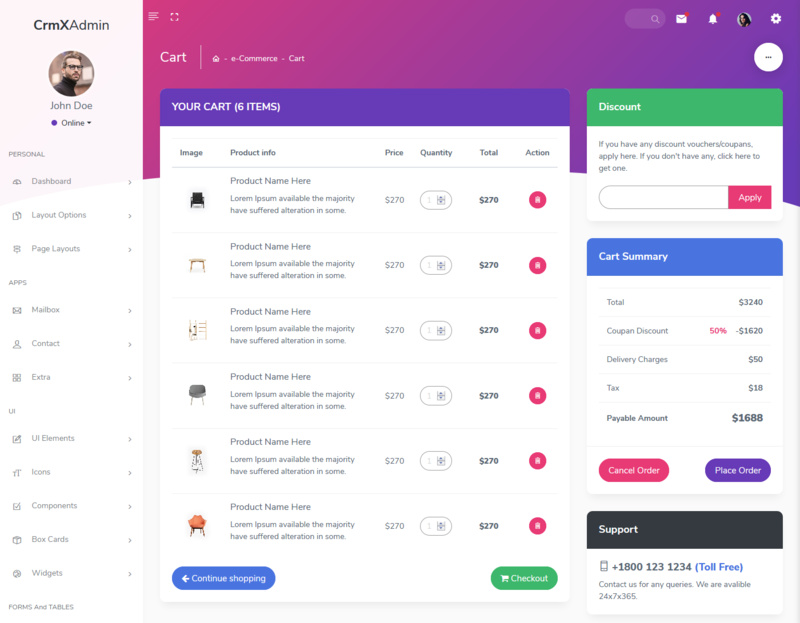 CrmX Hospital Dashboard Admin Templates comes with the Product Checkout section. CrmX Hospital Dashboard Admin Templates provide Draggable Panel Portlets is used to design this layout. 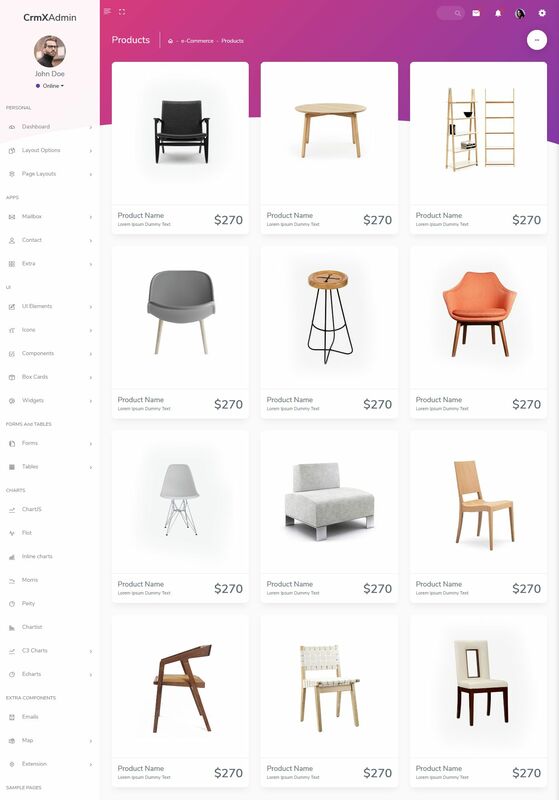 This is a drag-and-drop multi-column grid. 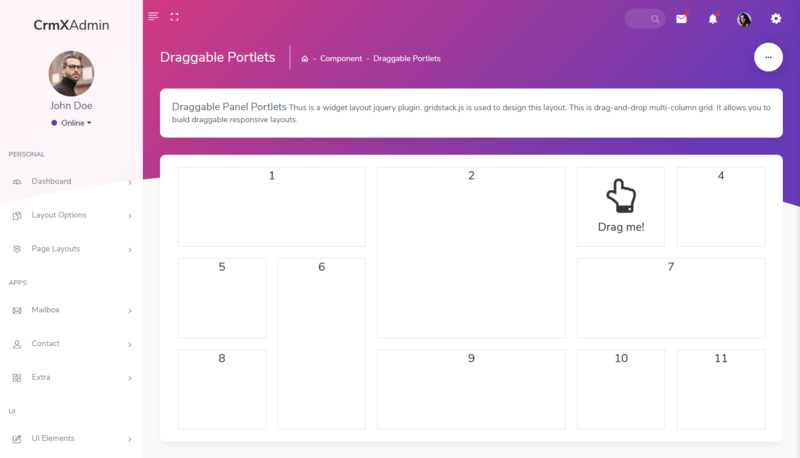 It allows you to build draggable responsive layouts. 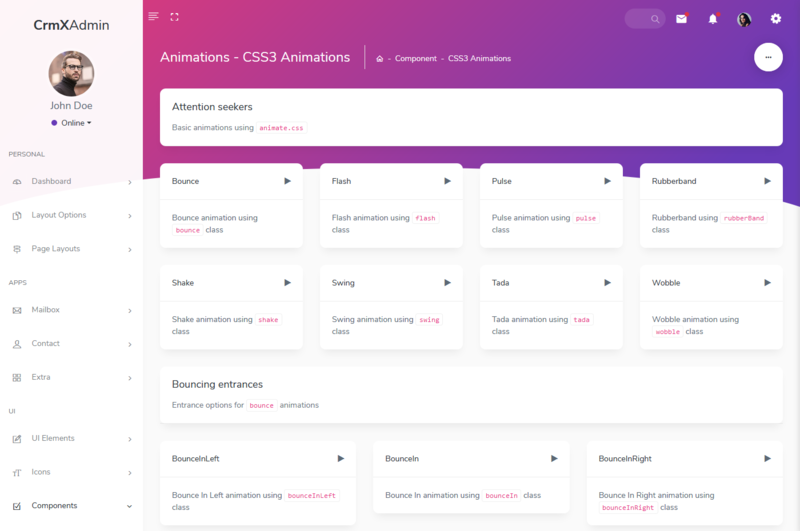 CrmX Hospital Bootstrap 4 Admin Templates comes with CSS3 Animations. CrmX Hospital Premium Admin Template comes with Blog widgets. 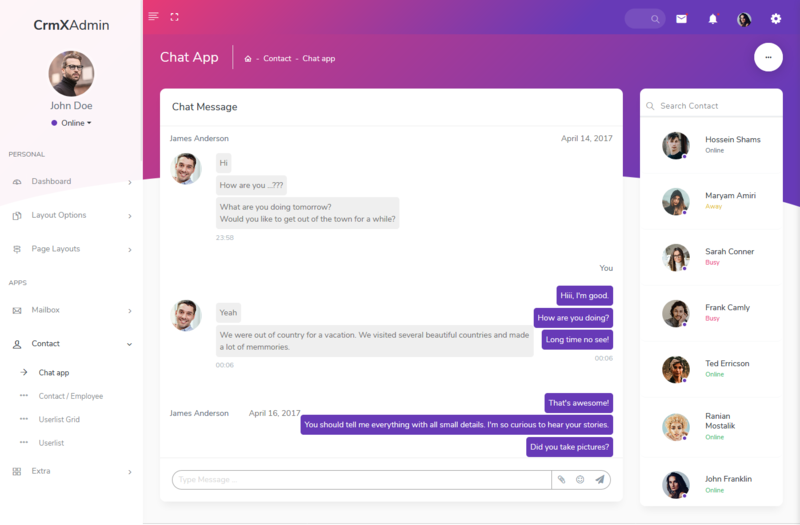 CrmX Hospital Admin – Admin Dashboard Template provides a Chat App. You will see Chat message on this page. 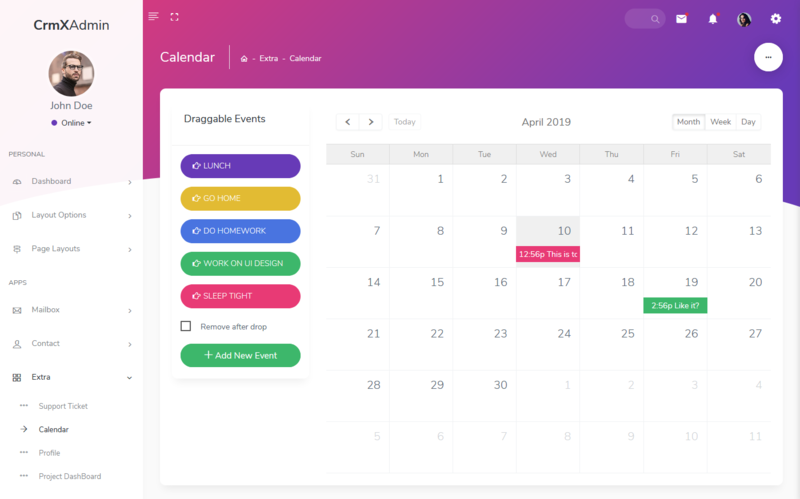 CrmX Hospital Admin – Bootstrap Admin Templates comes with Calendar App. You will see the Calendar app. 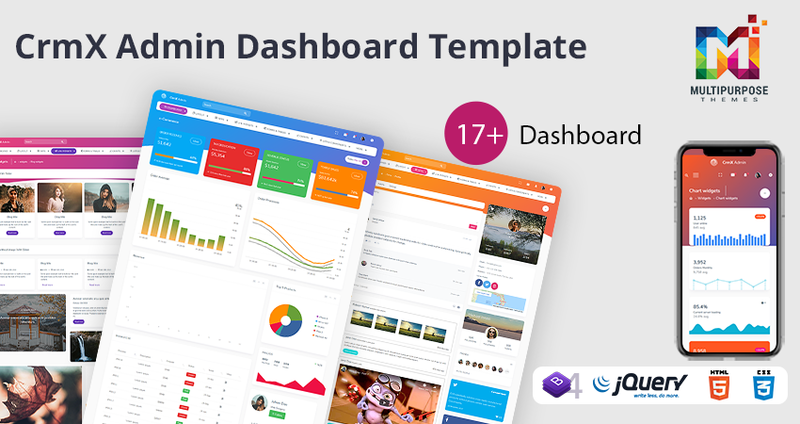 CrmX Hospital Admin – Responsive Dashboard Admin Templates comes with User Profile. 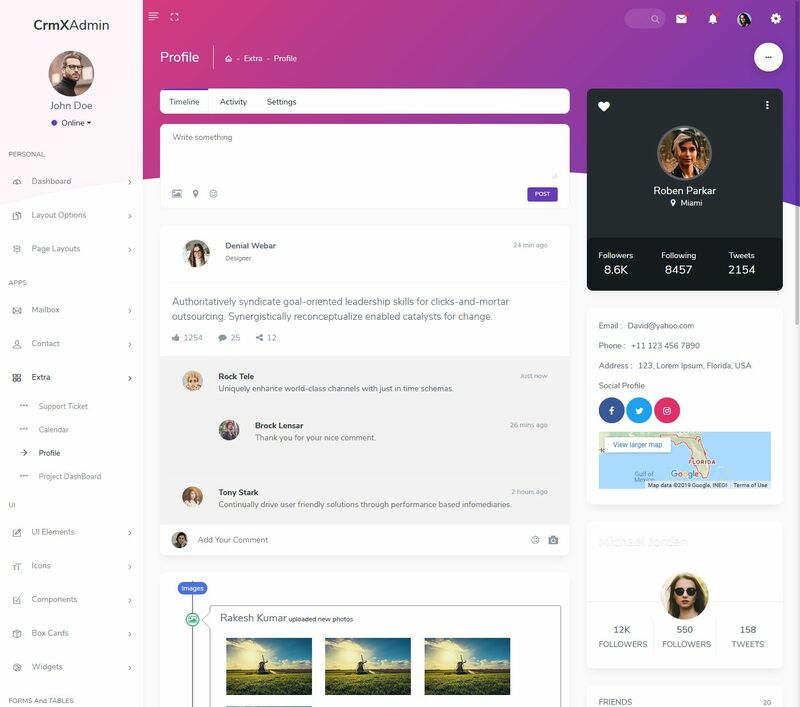 Email, Social Profile, Phone, Address, Google Feed, Facebook Feed Here. CrmX Hospital Admin – Bootstrap Admin Templates provides Userlist. 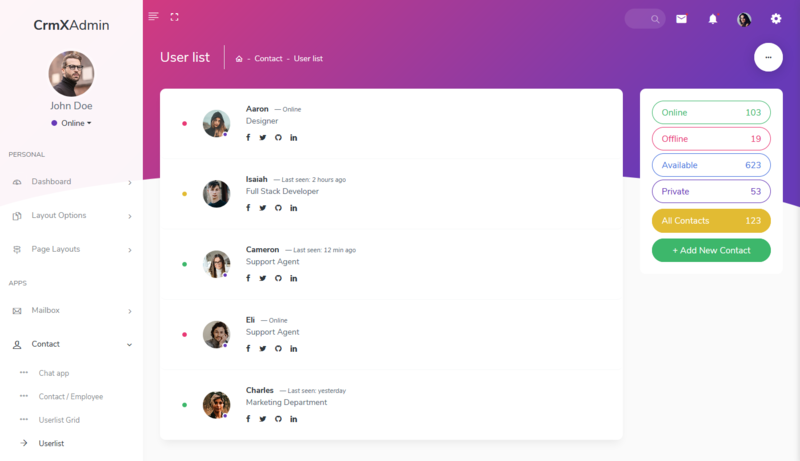 You will see User list with name, Designation, Phone no, Social media icons, email id, and profile picture. CrmX Hospital Admin – Admin Dashboard Template provided Various types of buttons Using the base class. 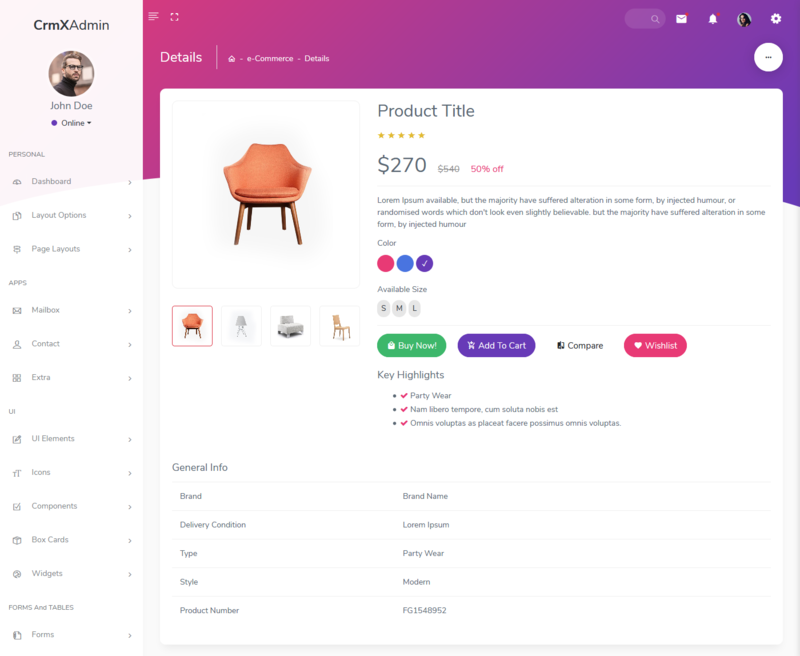 You will see General Buttons, Rounded Buttons, Button with an outline, Button Sizes, Rounded Outline Buttons, Button with the icon, Split buttons, Button with Dropdown, Horizontal Button Group. 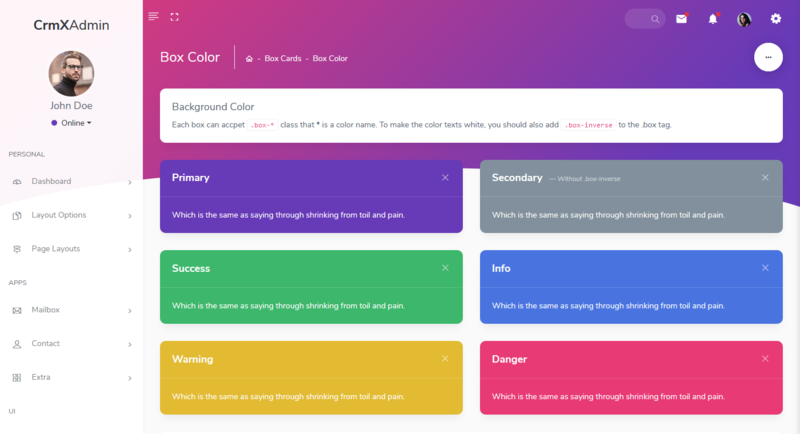 CrmX Hospital Admin – Premium Admin Template comes with Color Utilities such as Background colors, Border colors, Text colors, Hover colors. 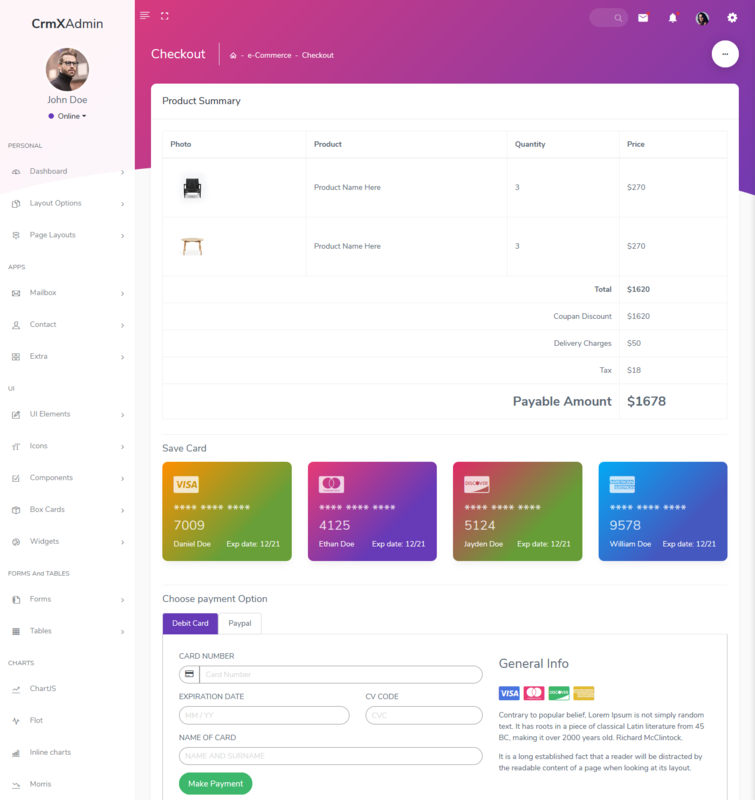 CrmX Hospital Admin – Bootstrap 4 Admin Templates comes with Dropdown. 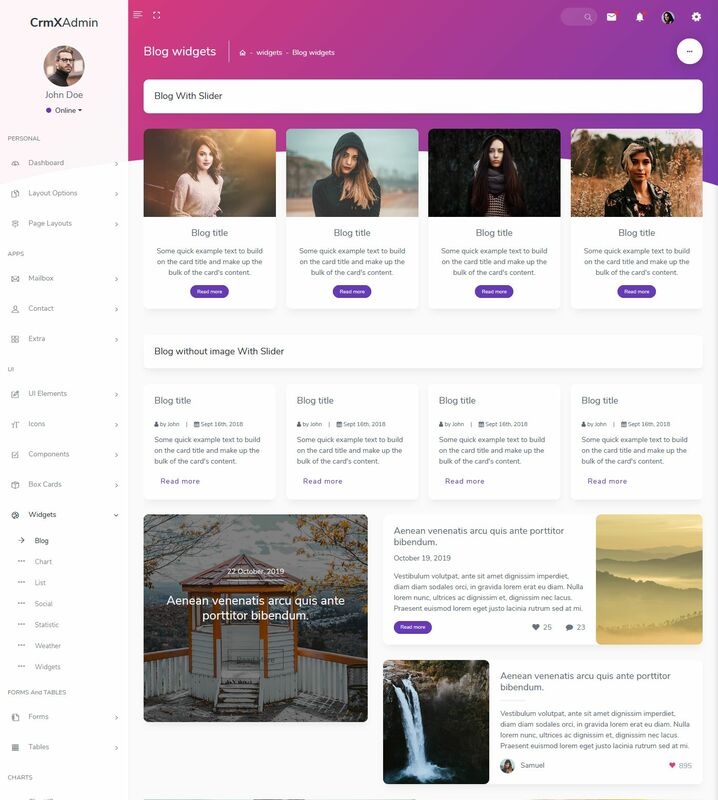 CrmX Admin – Admin Templates comes with Range Sliders and Carousel that includes Image Slider, Image Slider thumbnails. 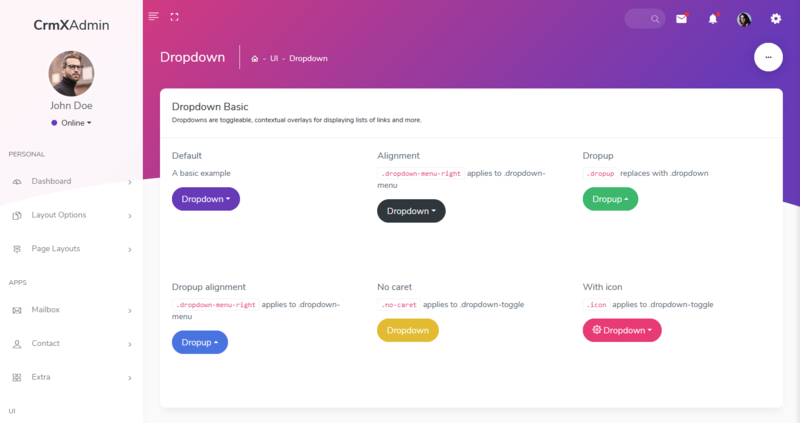 You will see Dropdown Basic, Dropdown menu with Default, Alignment, Dropup, Dropup alignment, No caret, With icon, Header, Divider, With badge. CrmX Hospital Admin Templates comes with Tabs. 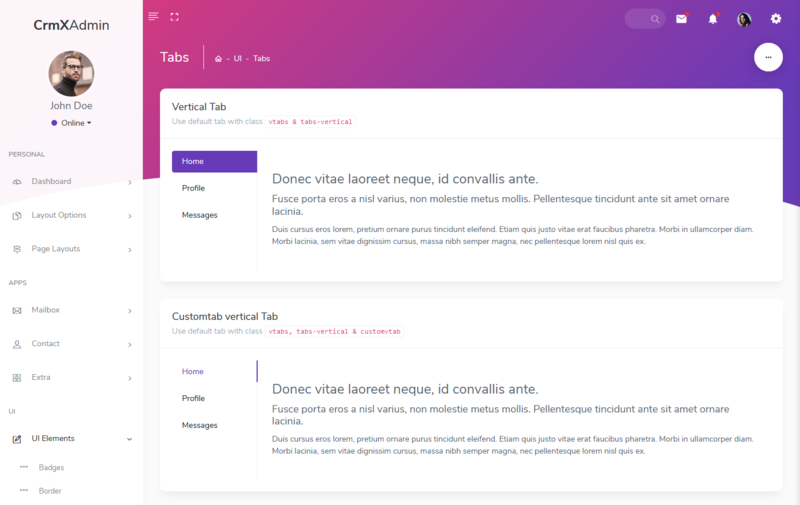 You will see Nav Pills Tabs, Tab with an icon, Fill, Horizontal alignment, Default Tab, Custom tab Tab, Vertical Tab, Custom tab vertical Tab, Tab with a dropdown. 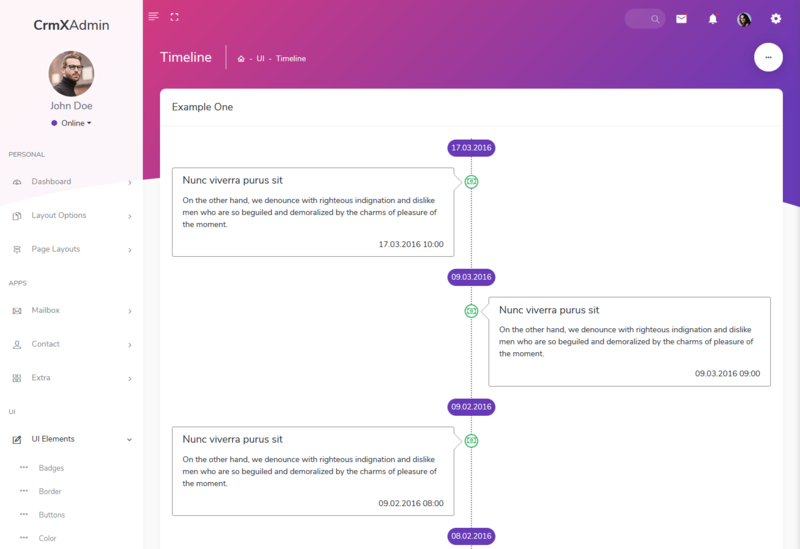 CrmX Hospital Admin – Admin Templates comes with Timeline. You will see Two columns, Usage example. CrmX Hospital Admin Templates comes with Horizontal Timeline. 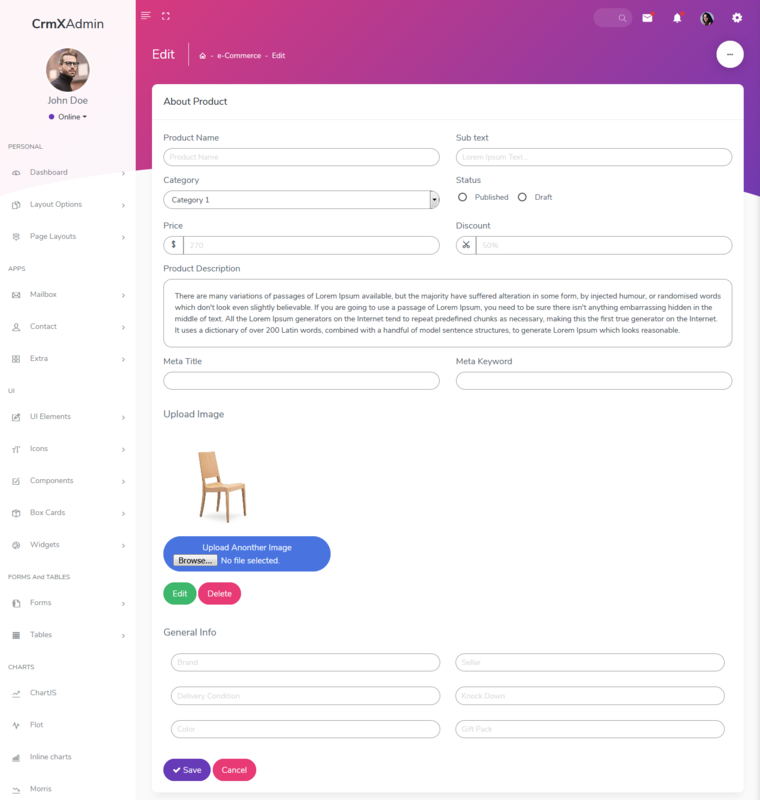 CrmX Hospital Admin Responsive Bootstrap 4 Admin comes with Advanced Box. 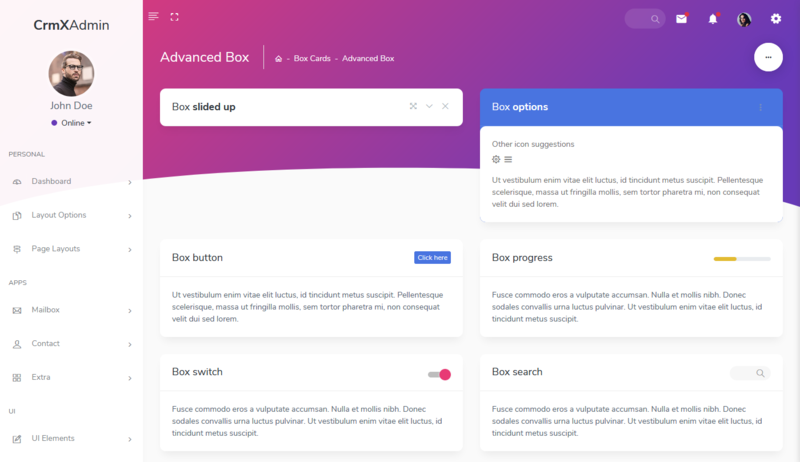 You will see Box search, Multi elements, Box pagination, Box controls, Box slid up, Box options, Box button, Box progress, Box switch, Scrollable. 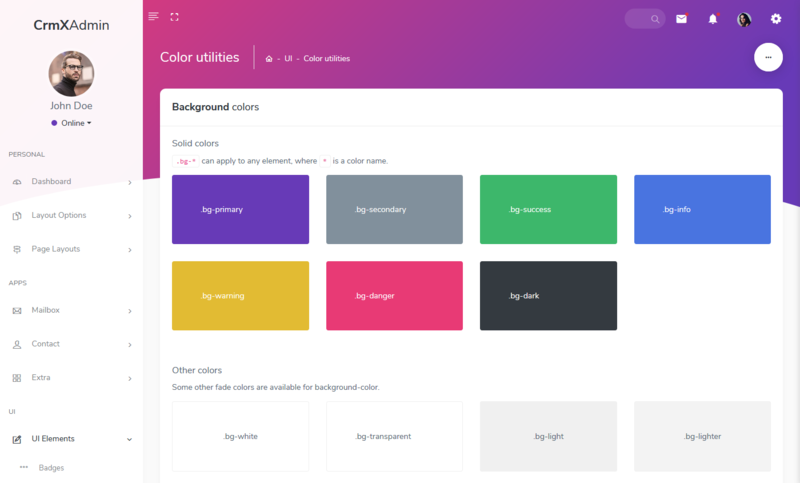 CrmX Hospital – Admin Templates comes with Box Color. 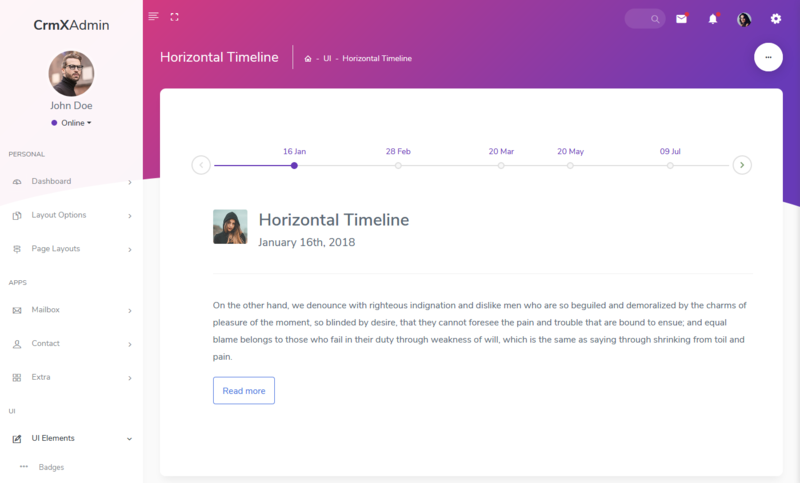 You will see Solid box header, Background Color, Pale Background Color, Outline boxes, Border boxes. 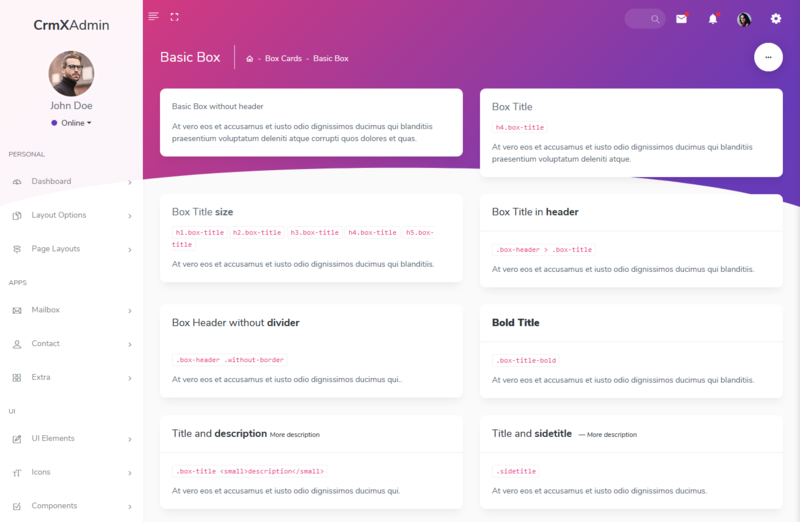 CrmX Hospital – Admin Templates comes with Group Box. 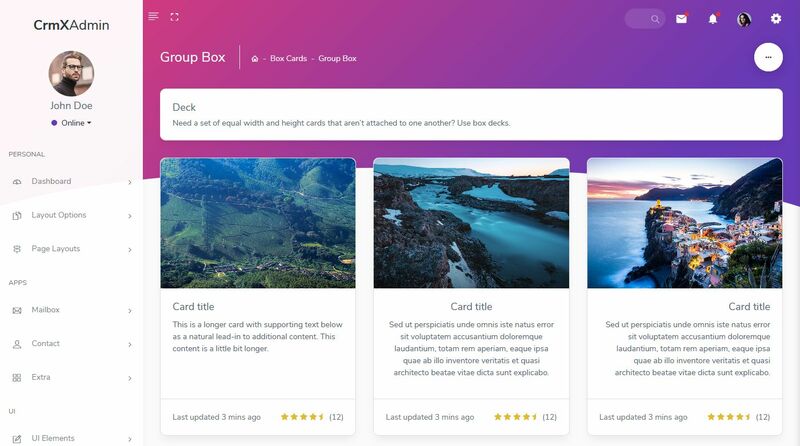 Boxes can be organized into Masonry-like columns with just CSS by wrapping them in .box-columns. Box are ordered from top to bottom and left to right when wrapped in .box-columns.